Louise from Highlands sent notes & pictures of some interesting bird orchids she found while doing roadside flora surveys down the Molesworth Dropmore Rd. 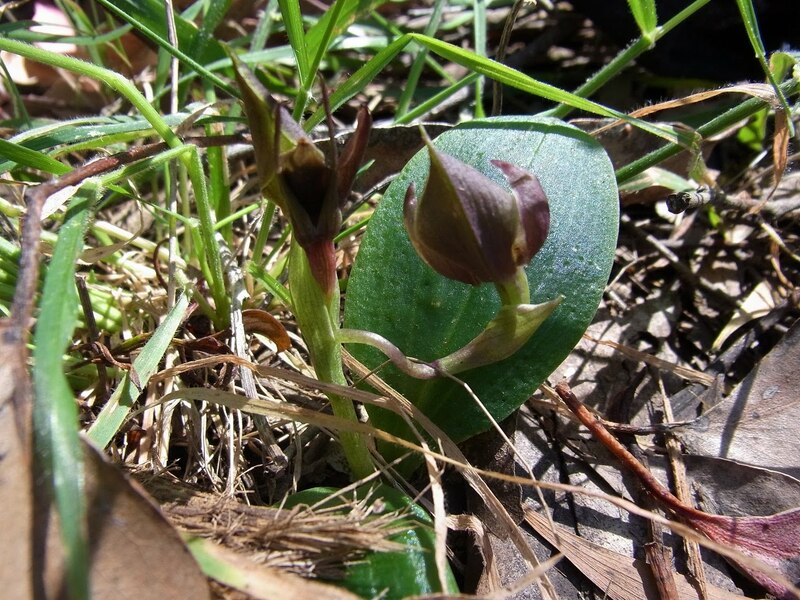 “There were a couple of oddities about these orchids that make identification tricky”. – the very tall ones at the final site were possibly trapeziform, or hybrid. The tallest was over 20cm, measuring the point on my forearm that it came up to. – two plants with double flowers at the first site. I’ve never before seen a chiloglottis with two flowers on it, and the literature describes them as “flower solitary”. Thanks for sharing these observations Louise. Maybe an orchid expect could help with ID . I really need a picture showing the labellum and callus glands to make a decision. 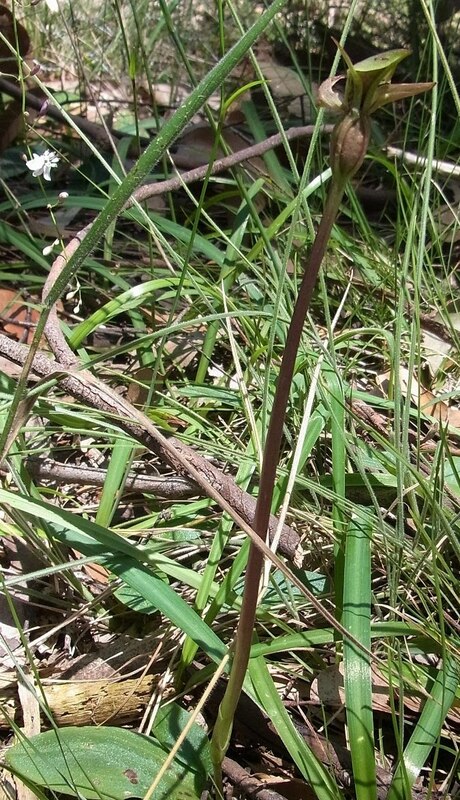 The most common species in the Strathbogie Ranges are the Tall Bird Orchid simpliglottis gunnii and the Large Bird Orchid simpliglottis valida. As Louise pointed out hybrids are possible ! How freaky ! It wasn’t a seasonal deformity , maybe they always have two heads. A new species ? 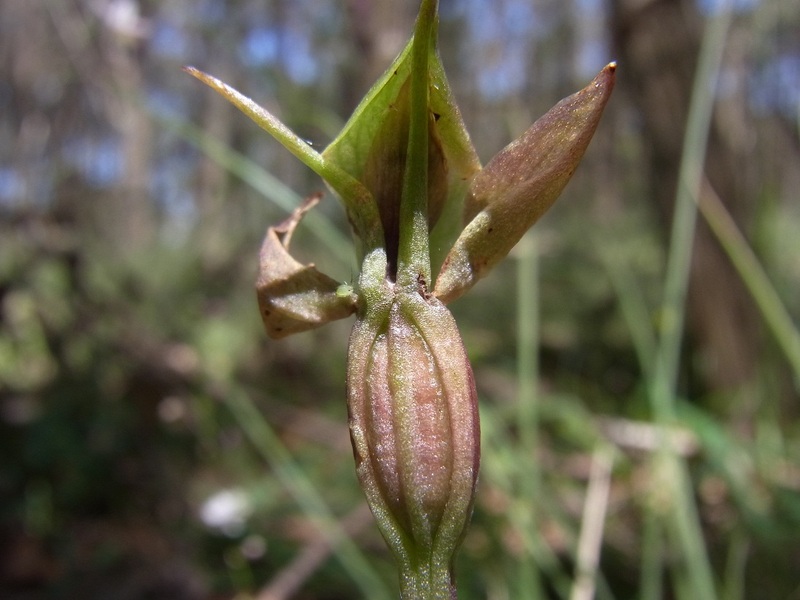 Thought you might like to know that I went back to the site where the two-headed bird orchids were last year, and they have done it again – there are two two-headed bird orchids in flower right now.